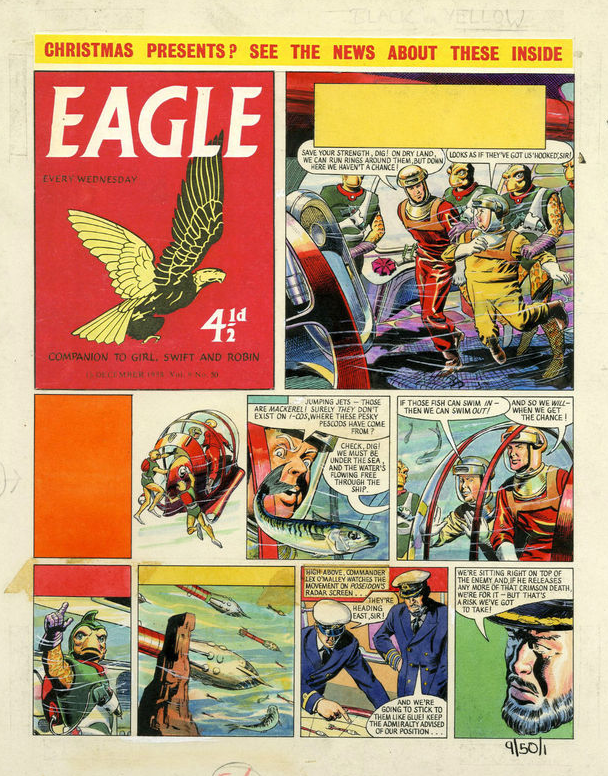 A page of Dan Dare artwork from the original Eagle is currently up for sale on eBay, on offer from American comics creator and editor Scott Dunbier. The art is a page from the story The Phantom Fleet, first published in Eagle 50 (volume 9) in 1950. 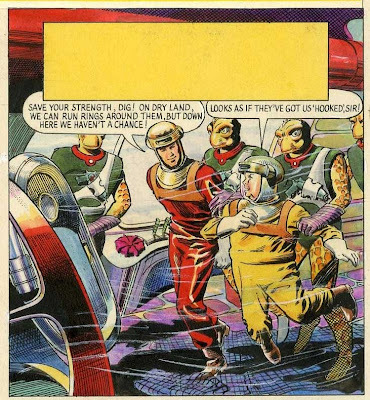 Written by Alan Stranks, the artists credited for this story are Dan Dare co-creator Frank Hampson, Keith Watson and Desmond Walduck, but the Scott says "there’s probably more Duck here than Ham". In the story, radio and television transmissions are being disrupted throughout the Solar System by an unknown force. Spaceships are disappearing. 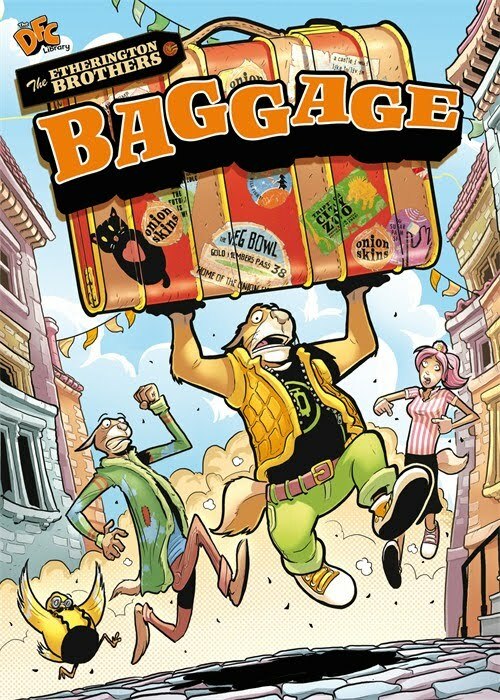 After a rocket ship carrying Sir Hubert Guest goes missing, Dan and crew set out to discover what has happened to it. They find a fleet of huge alien craft containing peaceful aquatic creatures called Cosmobes who are fleeing from another aquatic race, the warlike Pescods, whose "Crimson Death" weapon destroys all metals on contact. Attempts to destroy the Pescods' pursuing fleet fail, and they dive into the Earth's ocean and begin to build themselves a city. Fortunately for Earth the Pescods' settlement is on top of the submerged volcano Krakatoa, and when it erupts due to seismic disturbances from the pesky Pescods, they are all destroyed. The art measures 9.5 x 12.5 inches on large illustration board; the art is in nice shape but has some staining (perhaps no surprise given the many horror stories told down the years about how such art was treated by some publishers) and shows some age. 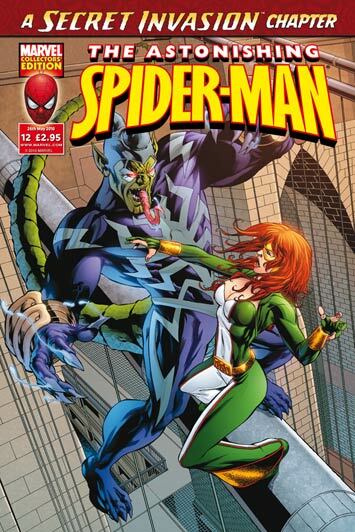 Scott previously bought and sold original comic art since the early 1980s, but "gave it up full time in 1995 to work in comics publishing." 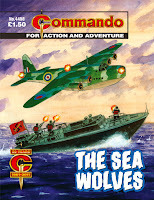 While we were on eBay, we also came across seller "alanb1109", who regularly sells copies of Eagle and has announced he is about to offer quite a substantial collection in coming weeks. Could be worth keeping an eye on. Cinebook return to their historically factual series Cinebook Recounts with the story of the first manned flight of a powered aeroplane at Kitty Hawk in America in 1903 with The Wright Brothers, written by J P Lefevre-Garros and illustrated by Marcel Uderzo. Engineers Orville and Wilbur Wright had made their money printing newspapers in Daytona, Ohio and, by the turn of the twentieth century, had moved on to manufacturing the new craze of the day, bicycles. However their real desire was to fly and leaving their sister in charge of the bicycle business they used the winters to travel to the sand dunes of Kitty Hawk, North Carolina, were they flew firstly large kites before moving on to gliders. With the experience of designing and flying the gliders, their next task was to design a light but powerful engine that they could fit to their aircraft to power it. But they were not the only engineers around the world with similar plans. This book has a bit of tortuous history. It was originally published in Europe as Biggles Raconte Les Frères Wright in 2005, part of a series of factual aviation history books themed around WE John's pilot character but not actually featuring Biggles himself. 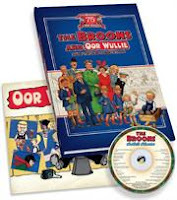 Cinebook managed to release two of the books from this series, Biggles Recounts The Falklands War and Biggles Recounts The Battle Of Britain, in 2007 and 2008 with Biggles Recounts The Wright Brothers due for 2009 but issues arose between the estate of WE Johns and Lombard, the original French publishers. 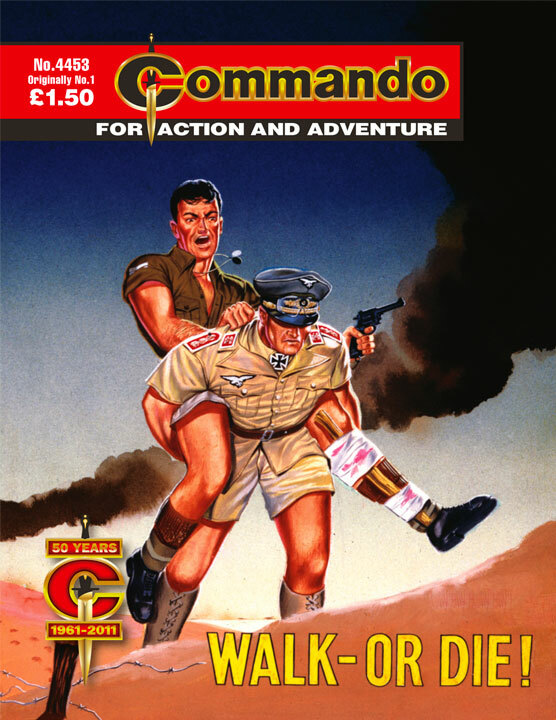 This lead to Lombard loosing their Biggles licence, meaning that Cinebook could no longer release any Biggles titles. 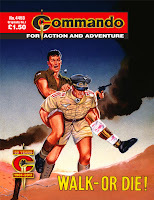 While this stymied further releases in their fictional Biggles series, as the character was not in the factual series they retitled it as Cinebook Recounts and started again. 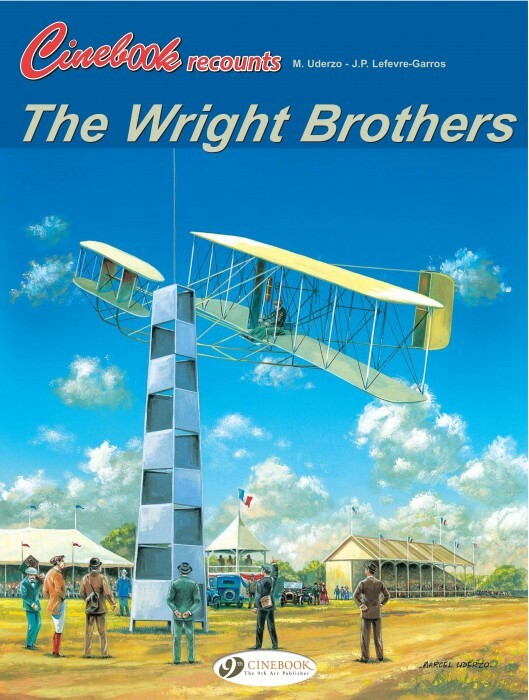 With Battle of Britain and The Falklands War rereleased under the new series title, The Wright Brothers is the first of the "new" Recounts books, albeit with an English translation dating from 2008. This was originally the sixth book in the Biggles Raconte series and by this point the French series had covered mainly war topics with their inherent action and adventure, so the tale of two engineers who designed big kites and then incrementally modified their designs until they reached a controllable, manned aircraft was a change of pace. 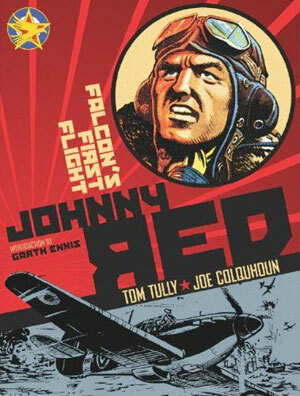 This is not a dull book by any means but readers expecting a tale of adventure and daring pilots will be disappointed. 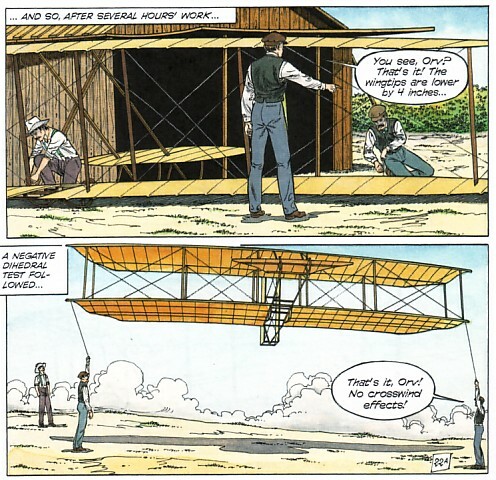 Lefevre-Garros gives the background to the brothers work, setting the historical scene by mentioning some of the other people working towards manned flight at the time and even suggesting in the second panel of the book that a Frenchman beat them to it (Clement Ader did just struggle into the air in 1897 but it was an uncontrolled hop). While many others appear to have started by jumping in the deep end and building a powered aircraft that they didn't know how to fly, the Wrights started with kites to learn aerodynamics and then moved on to gliders so that they knew how to control an aircraft in flight before finally progressing to a powered aeroplane. Backed up by Marcel Uderzo's detailed and accurate artwork, Lefevre-Garros takes the reader through the years of test flying the kites and gliders and the Wrights' redesigns on them as they found the weaknesses of each stage of their development before reaching the morning of 17 December 1903 when Orville Wright lay down in the pilot's position of the aircraft they simply called Flyer but we now refer to as Wright Flyer 1, turned the engine on and literally flew into the history books. 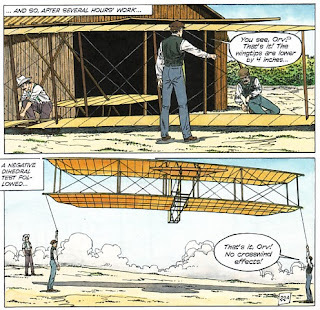 Cinebook Recounts The Wright Brothers is not an action packed tale of daring pilots but it is a detailed and well illustrated account of the logical design steps of two engineers that lead up to a moment in history - and that is what makes it worth reading. 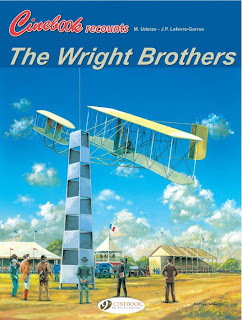 There are more details of Cinebook Recounts The Wright Brothers and the other titles in the Cinebook Recounts series on the Cinebook website. 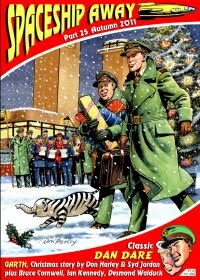 There are more details of the original French Biggles Raconte books on the International Biggles Association website. Put some dinosaurs in your Christmas! Here's something that might make for a great last minute stocking filler - Dinohistoria, a different, fun and entertaining, educational card game for all the family. Dinohistoria has 56 playing cards, each with an illustration licensed by the Picture Library of the Natural History Museum, London featuring over 30 different dinosaurs. Many of them are familiar, such as Tyrannosaurus rex, Allosaurus, Brachiosaurus, Iguanodon, Triceratops and Pteranodon, but there are over 20 other animals too, including Smilodon (Sabre-toothed Tiger) and Mammuthus primigenius (Woolly mammoth), with facts about them. 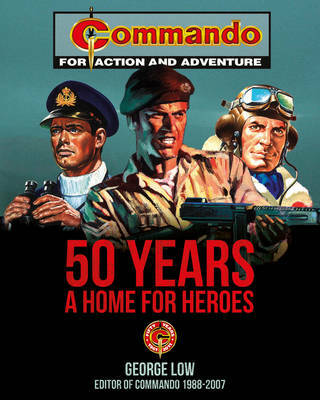 Although it's aimed at kids of 7+ the publishers, Educational Learning, have have added rules for additional games to the company's website, www.educationallearning.co.uk, so younger children from 5+ can play. Also on sale is the Wildcat game, featuring photographs of wild cats from around the world. 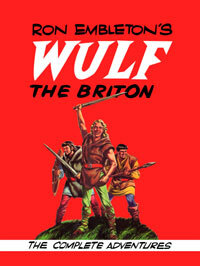 The claws are out for the return of post-apocalyptic werewolves series, Age of the Wolf, to 2000AD early next year. 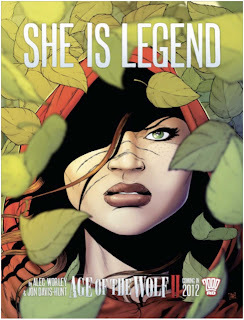 Lycanthrope-hunting heroine Rowan Morrigan is to return to the weekly comic in February 2012 in Age of the Wolf: She is Legend. It's the second chapter in the fast-moving fantasy series – in which a spellbound moon has turned half the earth’s population into ravenous werewolves – by writer Alec Worley (Dandridge, Six Brothers) and Eagle Award-nominated artist Jon Davis-Hunt (Judge Dredd, Transformers), and it stars one of the strongest female characters to emerge from 2000AD in recent years: a reluctant action heroine who’s more than a match for the ‘Big Bad Wolf’. In the series, London has become a primordial forest in which surviving humans are being hunted to extinction. And there are worse things than lycanthropes lurking among the overgrown ruins of the city. The fortified remains of Buckingham Palace have been taken over by a ruthless gang of slavers, the Skinners: Harry, a hulking neo-Nazi with a sinister secret, his sister Kate, a sadistic huntress with a score to settle, and their merciless matriarch ‘Granny’. 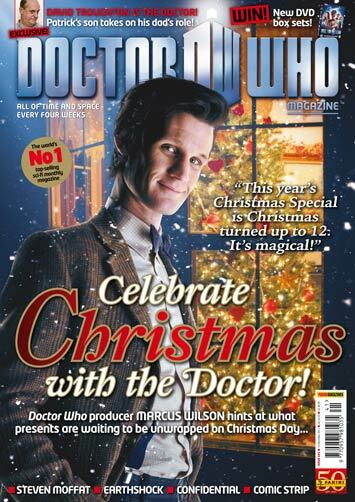 With this and more thrill-drenched series launching in 2000AD over the coming year, now’s the perfect time to jump aboard and buy this year’s 100-page Christmas special. 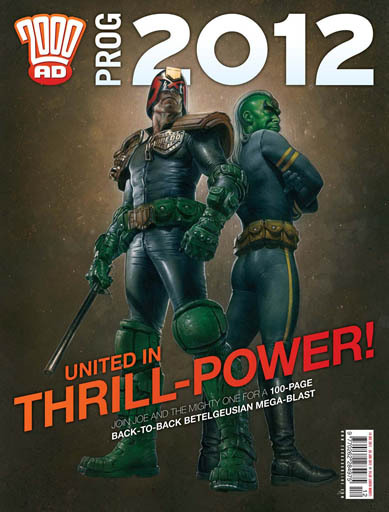 Prog 2012 features a circuit-shattering line-up of seasonal thrills including classic titles Judge Dredd, Strontium Dog, Nikolai Dante and Sinister Dexter, alongside stories from newcomers Dandridge and Absalom. 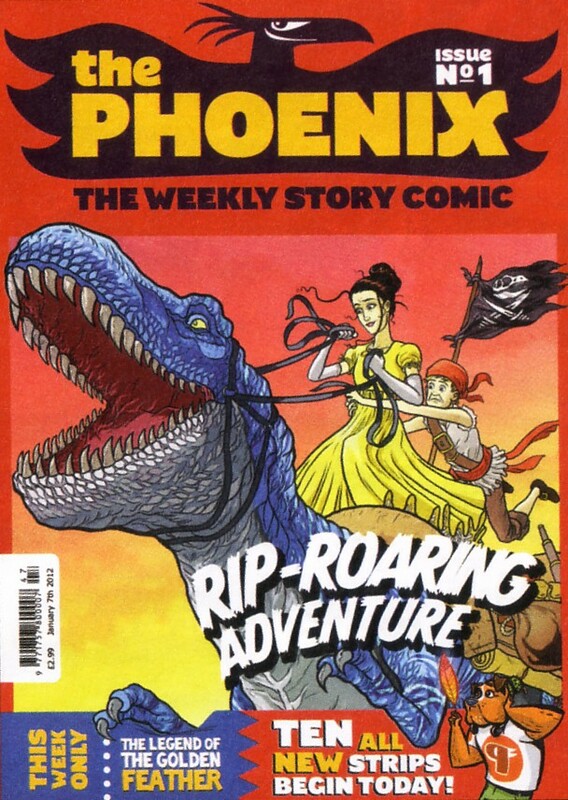 This issue also sees the launch of two brand new thrills: sci-fi drama Grey Area by Dan Abnett and Karl Richardson, and ancient Roman action fantasy Aquila by Gordon Rennie and Leigh Gallagher. 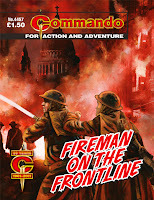 2000AD is to attend the country’s newest comic book convention, the inaugural London Super Comic Convention will take place at the Excel Centre in London on 25th-26th February 2012. 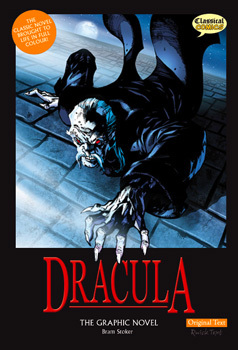 Many of the guests are some of the biggest names to have worked for the House of Tharg, including Brian Bolland, John McCrea, Duncan Fegredo, Paul Cornell, Sean Phillips, Nick Percival and Mike Carey. 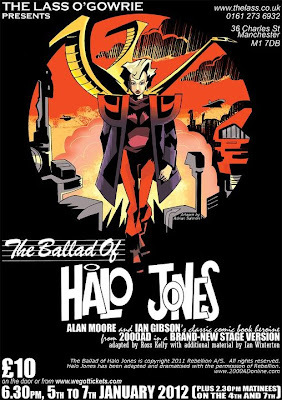 The 2000AD booth will be stocked with all the latest graphic novel titles from the imprint, as well as comics and t-shirts. 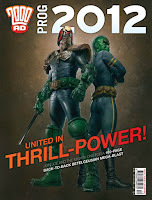 The event joins the growing list of conventions in 2012 which will see an appearance from the ‘droids’ of, including the SFX Weekender at the start of February, San Diego Comic Con and New York Comic Con. 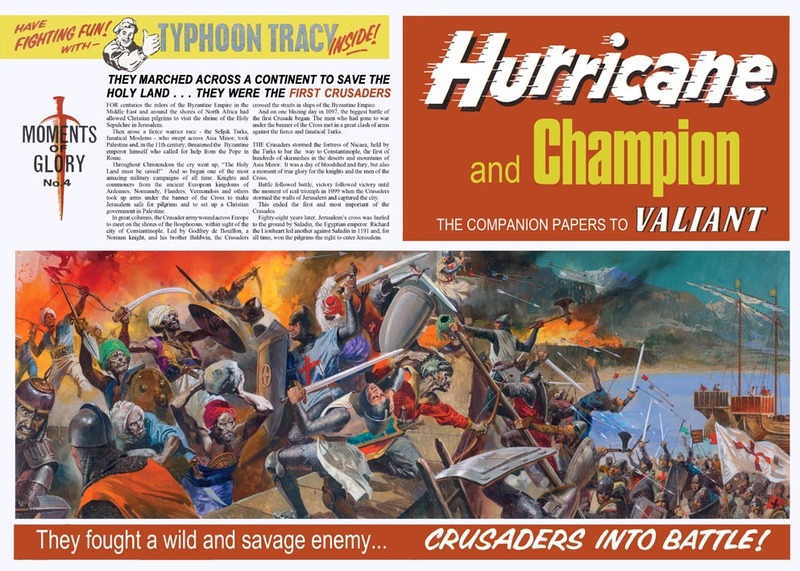 “We are delighted that the largest and arguably greatest publisher that Britain has to offer, will be in attendance at our convention,” said a spokesman for the event. 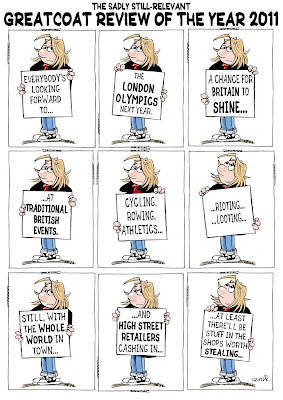 (with thanks to Norman Boyd): MP3s of some of the talks from Comics Forum 2011 are now available for download from the website at http://comicsforum.org. Nearly two hours of free audio content features creators such as Ian Williams (Graphic Medicine), Sarah Leavitt (Tangles), Tom Humberstone (Solipsistic Pop), Matt Sheret (Paper Science) and more. 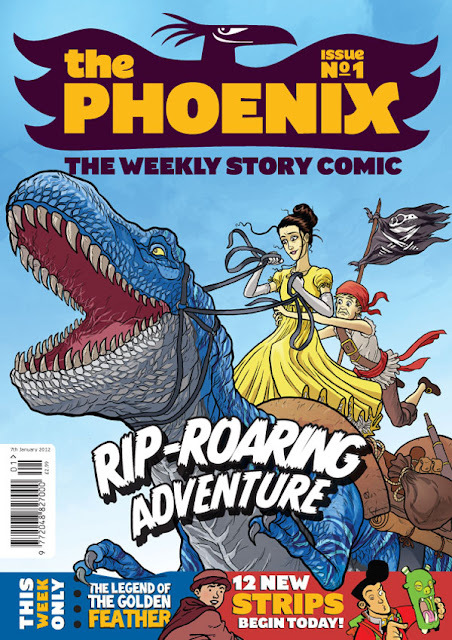 Additional instalments from Graphic Medicine will follow, and there’s a link to subscribe to the podcast over on the site. Coming up next week the site has a great piece by Nina Mickwitz entitled ‘Traversing Frames: the Dialectic between Comics and Travel’. 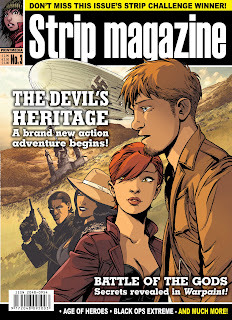 STRIP Magazine #2 is on sale now in all good UK comic shops, including many offering mail order. 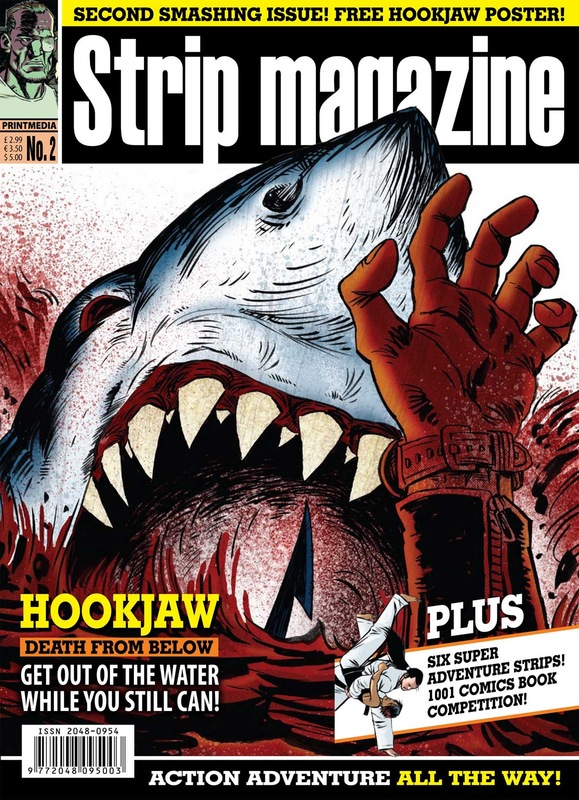 STRIP Magazine Issue Two, the first comics title from Print Media Productions, features a Hook Jaw cover by Rufus Dayglo, which has also been included as a free promotional poster with the issue. • Black Ops Xtreme Part 2, written by John Freeman and drawn by PJ Holden: the team are sent to South America to kill a dangerous terrorist! • Warpaint Part 2 by Phil Hester and John McCrea: Mia learns more about an ancient war! 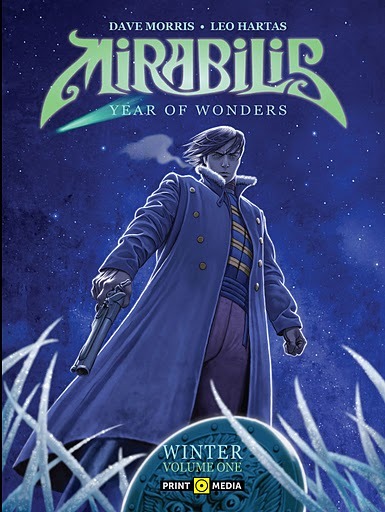 • Age of Heroes Part 2 by James Hudnall and John Ridgway: the magician Wex battles for his life against deadly monsters! 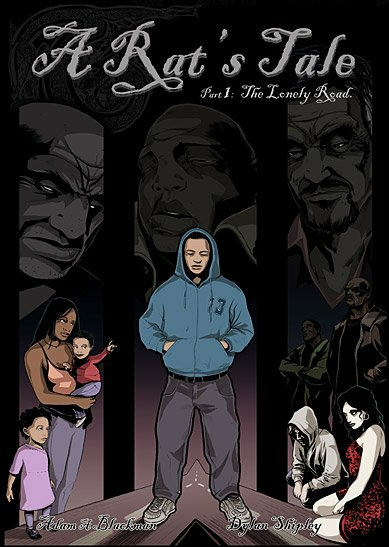 • Recovery Inc. by Michael Penick and Dean Deckard: the company is hired to retrieve a top secret stolen prototype! 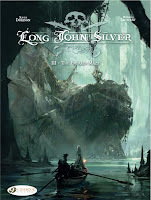 • Hook Jaw, re-mastered by Jim Campbell and Gary Caldwell: Joy over an oil strike turns sour as the great white shark Hook Jaw attacks! 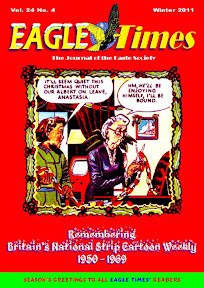 PLUS - an exclusive interview with comic artist John McCrea, British comics news, a competition to win copies of Paul Gravett's new book 1001 Comics You Must Read Before You Die and the new collection of Alan Grant and Arthur Ranson's Mazeworld; and a sneak preview of Crucible, one of the new strips coming up next year STRIP Magazine! You can now subscribe to Strip Magazine online at www.printmediaproductions.com at our introductory rates as advertised in Issue 1 of our new magazine. 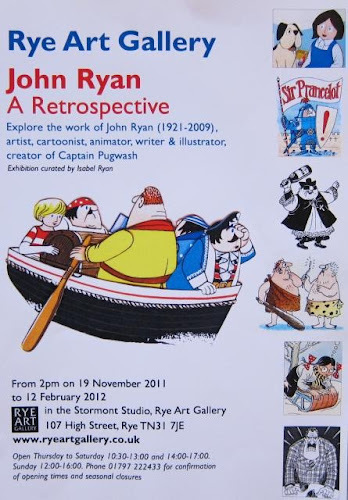 For anyone venturing to the south east corner of England there's an exhibition of Captain Pugwash creator John Ryan's work at Rye Art Gallery until mid February 2012. John Ryan, the author, illustrator and animator, who died in 2009 in his home town of Rye aged 88, created Captain Pugwash, who became much loved on children’s television in the 1970s. 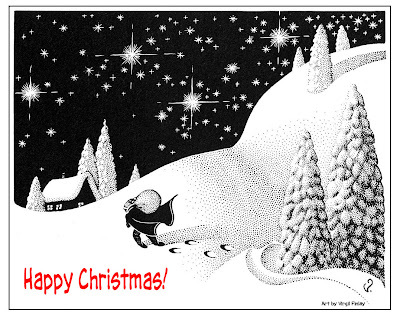 He also devised The Adventures of Sir Prancelot and Mary, Mungo and Midge. 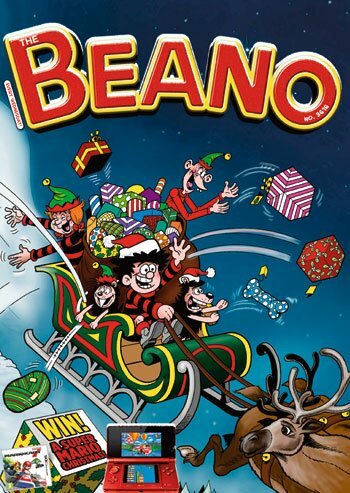 Launched by Ryan in the first issue of Eagle comic in 1950, Captain Horatio Pugwash soon became a children’s favourite and an eight-year stint as a comic strip in Radio Times followed. 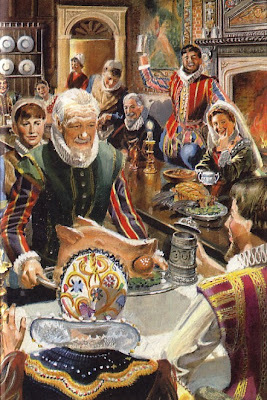 In 1957 Pugwash and his crew aboard the Black Pig — Tom the cabin boy, Willy, Barnabas and Pugwash’s deadly enemy Cut-Throat Jake — made their debut in Ryan’s long-running series for BBC Television. 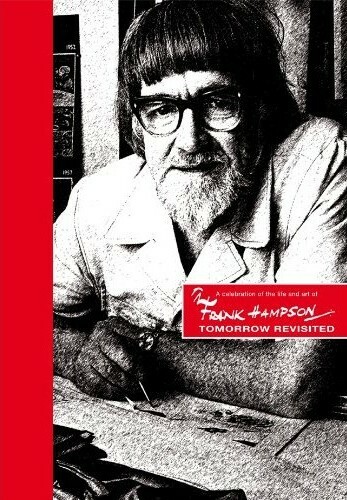 During his long career, he created many other characters and produced a large body of work including numerous books and artworks. This exhibition celebrates his life and work through his art. 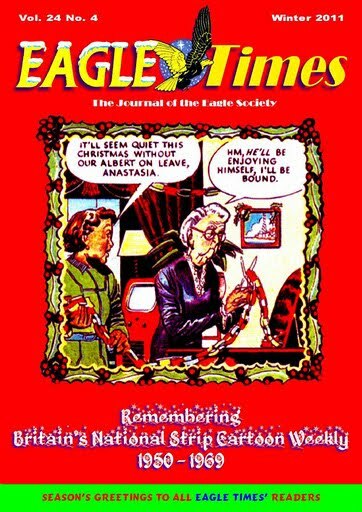 The latest issue of Eagle Times - Volume 24 No 4 - is now available from the Eagle Society. 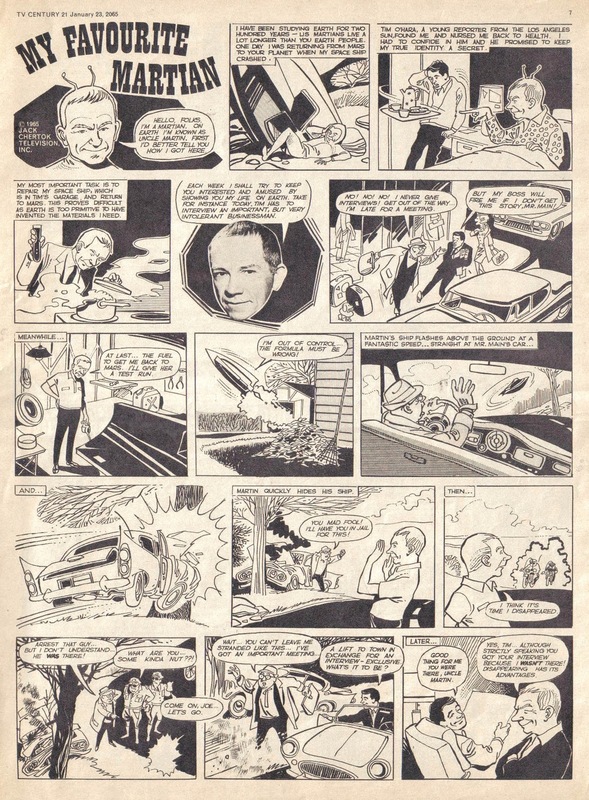 Fans of the 1960s comedy My Favorite Martian are in for a treat next year, when US publisher Hermes Press publishes a complete collection of the strips that featured in Britain's TV Century 21, most drawn by the legendary Bill Titcombe. 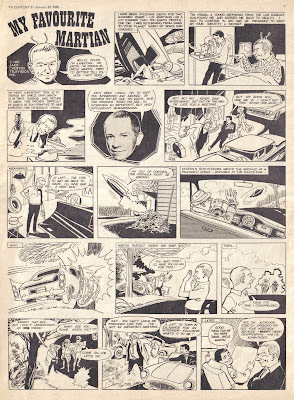 Gold Key Comics published a number of My Favorite Martian comics telling way-out stories of Uncle Martin and Tim O'Hara. 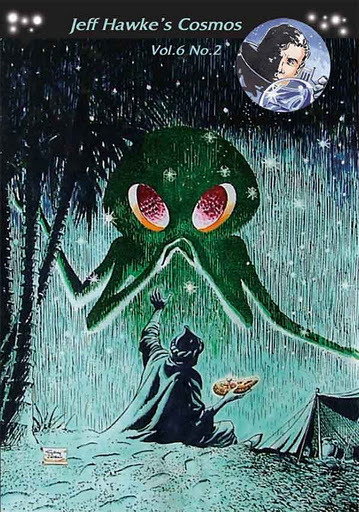 Now, thanks to Hermes Press and their hardcover reprint series of the vintage My Favorite Martian comics, you can catch up on thes long-lost misadventures of everyone's stranded antennae-headed alien when our collection comes out this Wednesday. 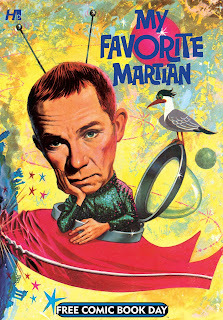 My Favorite Martian: The Complete Series - Volume One, on sale this week, represents the first five issues of the Gold Key comic book that ran from 1964 and 1965, while the upcoming second volume, planned for 2012, will also feature the English TV Century 21 comics. 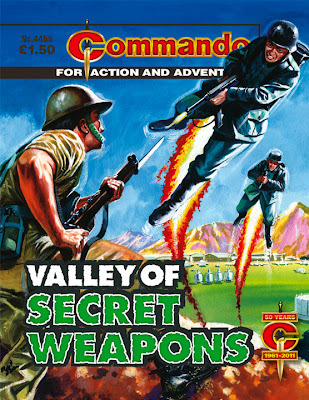 Not only does the first volume have artwork by Russ Manning, Dan Spiegel and Mike Arens, but also stories by Paul S. Newman and Bob Ogle, and a plethora of rare photos and memorabilia reproduced in the back. We're not just talking photos that haven't seen the light of day in decades - Hermes have worked with the TV series copyright holders, Chertok TV, to present previously unpublished set photos, many in colour, that have been thought lost since the 1960s. This out of the world library edition comes with a sweet retro design to best present Uncle Martin's long-lost adventures. So if you're a My Favorite Martian fan, or even just a huge fan of classic TV, check this out. (And if you've never seen the show, then you'll be pleased to hear that a DVD collection is in the works for the UK). 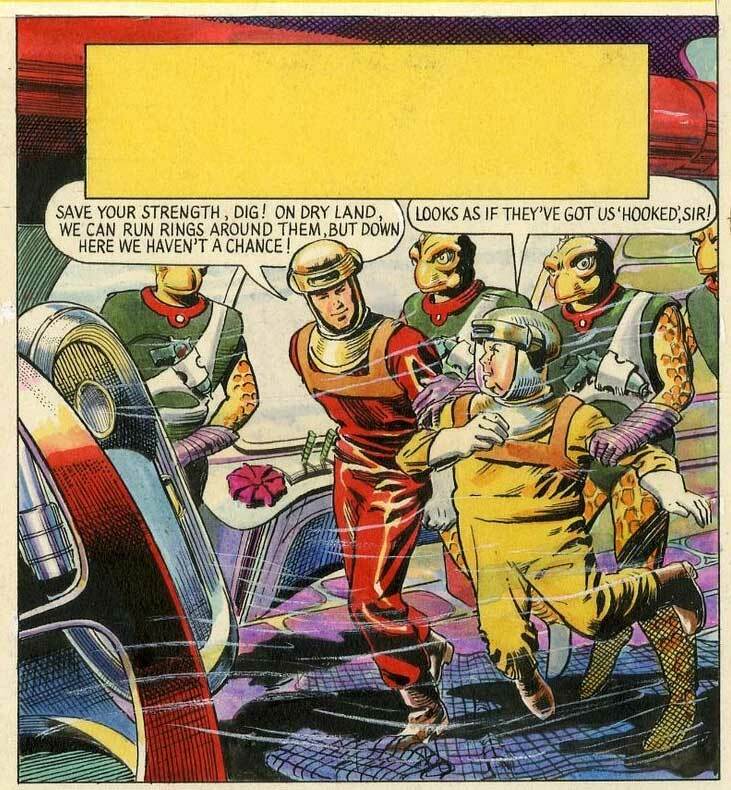 Drawn by Bill Titcombe, who also drew TV Comic's The Telegoons and many other adaptations of US and British TV comedy characters, TV Century 21's My Favourite Martian stories have pretty much snuck in under fans' radar for many years – the comic is better known for its adventure strips based on Gerry Anderson shows such as Thunderbirds and Stingray, but it also featured a number of one-page humour strips, such as The Munsters. My Favourite Martian ran in TV Century 21 for over two years. Like other strips based on US shows, some of the visuals don't quite match the series but Bill, like Mike Noble and others who worked on TV21's Star Trek adaptation later, were clearly working from limited reference when they started on the strips. 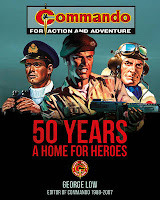 There's no publication date for the second volume, but Hermes Press have also announced they'll be offering a special My Favorite Martian comic book on Free Comic Book Day, next year - 5th May, 2012. Keep an eye out for it. • My Favorite Martian: The Complete Series - Volume One is available from all good comic shops now (Diamond Code: FEB111066) and both real world and online book stories. 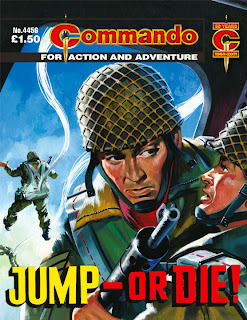 CLiNT is to publish the independent comic Death Sentence by Montynero and Mike Dowling in 2012. 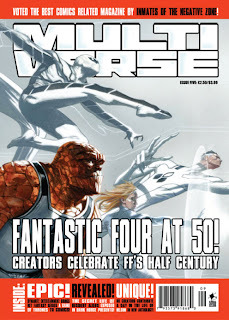 Created by writer Montynero and Mike Dowling (artist on CLiNT’s Rex Royd), Mark Millar, publisher of CLiNT alongside Titan Magazines, describes Death Sentence as the perfect fit for the 100-page magazine's brand of big-budget action with a cynical twist. 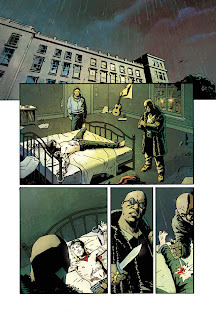 Described as “just brilliant” by Millar, Death Sentence first came to his attention at the first Kapow! 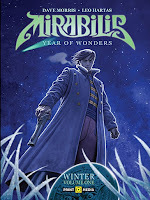 Comic Convention last year, where it stood out from the crowd of pitches with its striking concept and A-list work from the creators. The story of three Londoners granted superpowers and six months to live by the devastating, sexually-transmitted G-Plus virus, Death Sentence is by turns dramatic, thought-provoking and hilarious; a take-down of modern celebrity culture that also takes a stand against oppressive and invasive government. 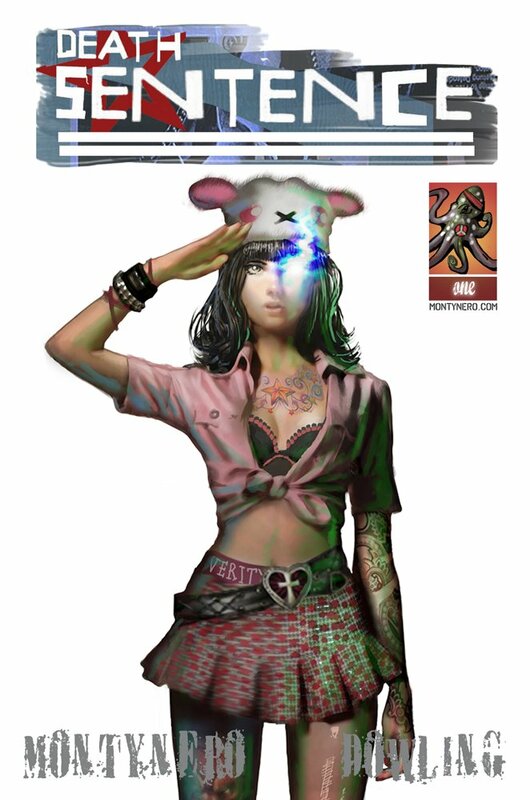 Death Sentence will debut in CLiNT in May 2012, with a launch at the second annual Kapow! Comic Convention. Titan Magazines say there will be more news on the future of CLiNT in January - suggesting more new strips will be part of its content. Reviewing Issue 12 of the title recently, comic creator and British comics pundit Lew Stringer praised the Magazine, saying "I really like CLiNT... [it's] raw, unapologetic and brutal. 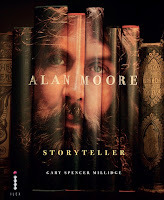 "Critics may argue that the stories could be told just as well without the excessive violence and profanity, and they'd have a point, but it wouldn't be as much fun would it?"